The automatic fruit and vegetable sorting machine is used to sort and grade the round shape fruits and vegetables according to the weight. 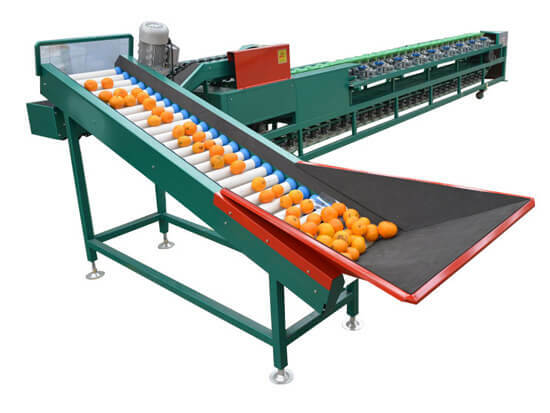 It can sort fruits and vegetables quickly, efficiency and the sorting grade is adjustable. Amisy automatic fruit and vegetable sorting machine is now the first automatic fruit sorting machine in China, which can feed fruits and vegetables to the machine automatically, greatly saving the labor. 7. Advanced preliminary array technology, labor-saving. 8. Durable and well design fruit plate, no damage to the fruit, cost saving. 1. Automatic fruit vegetable grading machine how to work? 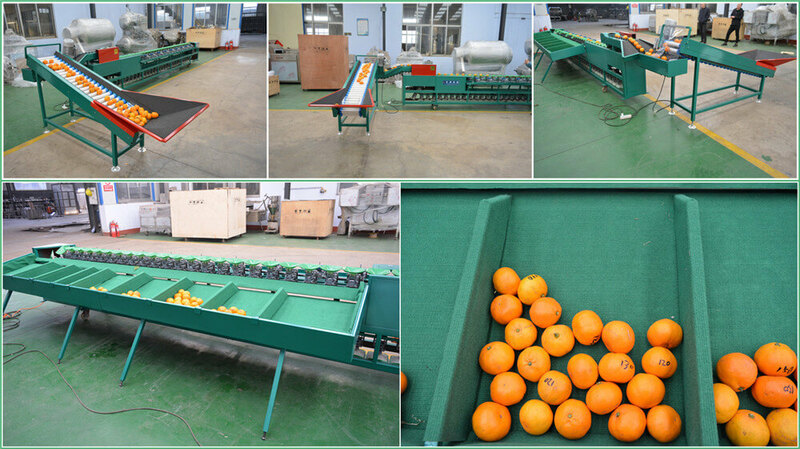 The automatic fruit and vegetable sorting machine adopts balance and lever principle, using container weight and weight apparatus set weighing, achieving classification according to weight during the shift and measurement of moving. In the automatic transmission, it can grade all kinds of fruit and vegetable quickly and accurately. It is suitable for many fruits and vegetables, such as apple, pear, onion, tomato, potato, orange, kiwi, peach, etc.